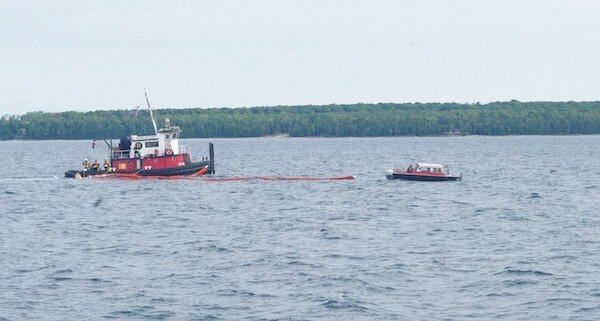 ST. IGNACE – The company that owns an oil pipeline crossing below the Straits of Mackinac practiced responding to a spill in case the 61-year-old pipe ever bursts. 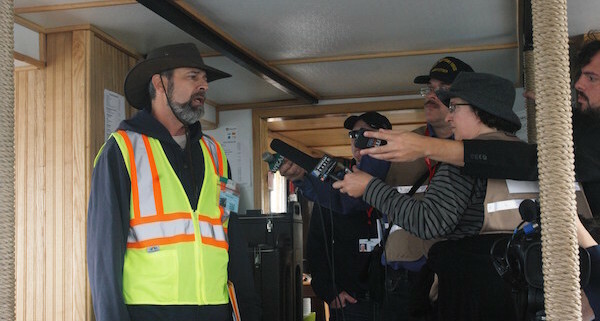 Officials with the Calgary-based Enbridge Inc. practiced oil-spill response drills on Thursday. They deployed booms, boats and people for shoreline and open-water clean up. The exercise came one day after U.S. Sens. 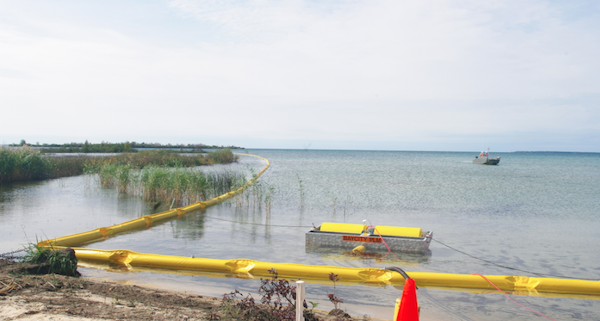 Gary Peters and Debbie Stabenow of Michigan introduced federal legislation to review the safety of pipelines and require more oil-spill drills. The bill would also ban transporting crude oil by vessel. 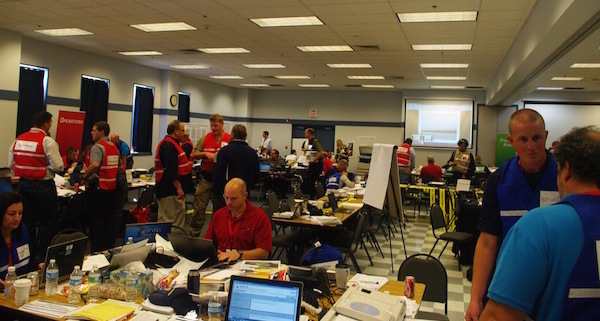 The emergency response scenario at the pipeline linking Michigan’s Upper and Lower peninsulas included officials with the U.S. Environmental Protection Agency, U.S. Department of Transportation, Coast Guard and Michigan departments of Natural Resources and of Environmental Quality. 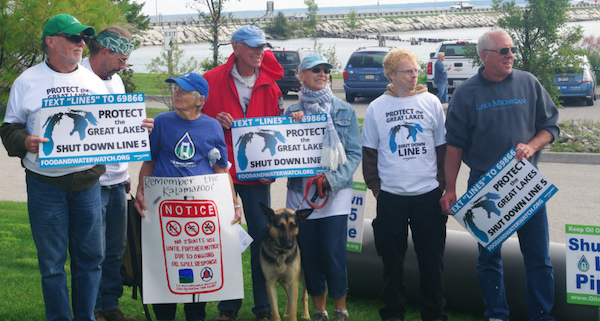 Environmentalists worry that the pipeline could spew oil into the Great Lakes and have called for shutting it down. 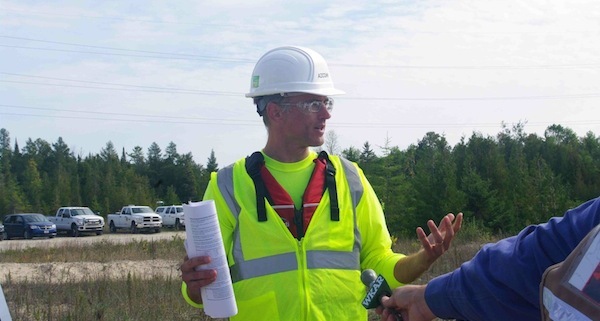 Earlier this week FLOW, a Traverse City, Michigan-based water advocacy group, called for an immediate shutdown of the pipeline until experts evaluate safer modes of oil transportation and routes, according to a press release. 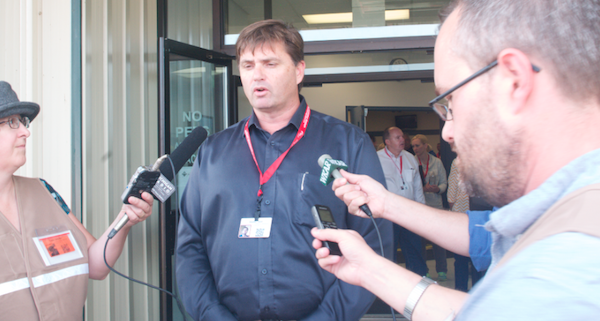 In the past three years, Enbridge said it has bought thousands of feet of boom material, practiced air monitoring and prepared for spill response in various types of weather. The company says that no spill is acceptable. But environmental groups and other critics are worried about a repeat of the 840,000-gallon spill in the Kalamazoo River in 2010. It was on a pipeline operated by the same company and resulted in the largest inland oil spill in U.S. history. 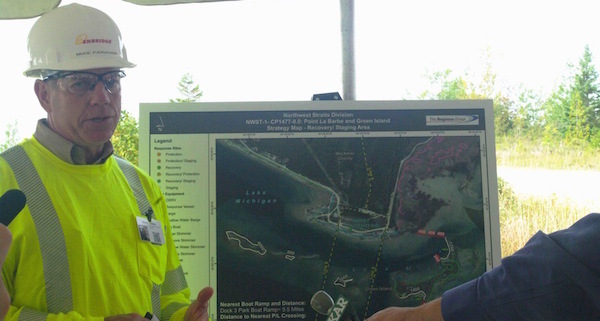 The Michigan Petroleum Task Force, led by Attorney General Bill Schuette and Dan Wyant, director of the Department of Environmental Quality, recommended banning the transportation of heavy crude oil through the Straits pipeline in July. 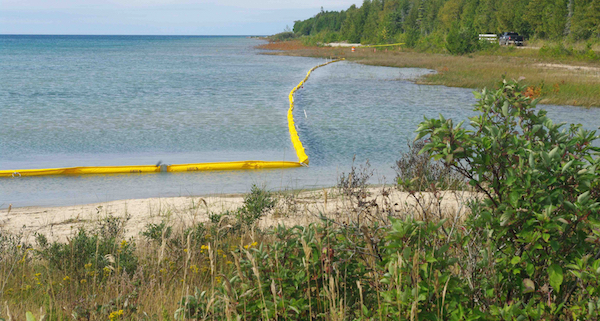 The task force also recommended requiring an independent analysis of alternatives to the existing Straits pipeline, according to the Michigan Petroleum Task Force Report. 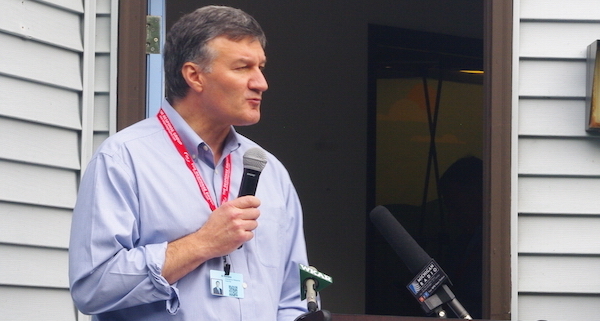 Critics question whether responses by government or Enbridge are sufficient. Editor’s note: This story updated 9/2/15 to correct photo credits.